And, ‘Yes’, we always see lots of deer (and harvest the odd one to take home as a souvenir)! We also see lots of other interesting creatures. 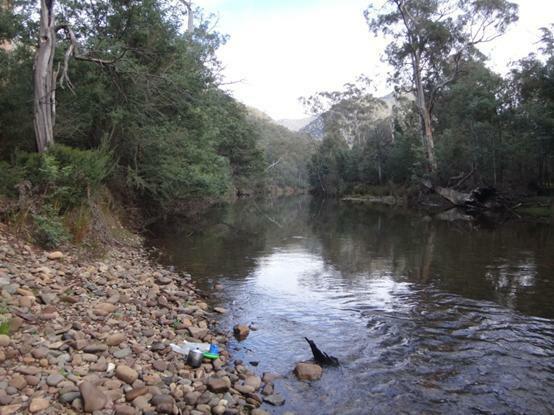 For example a platypus has its home in the bank right next to this camp. We often see him swimming in the river as we do our dishes. Morning and evening the hills ring with birdsong – and the mournful howls of wild dogs!